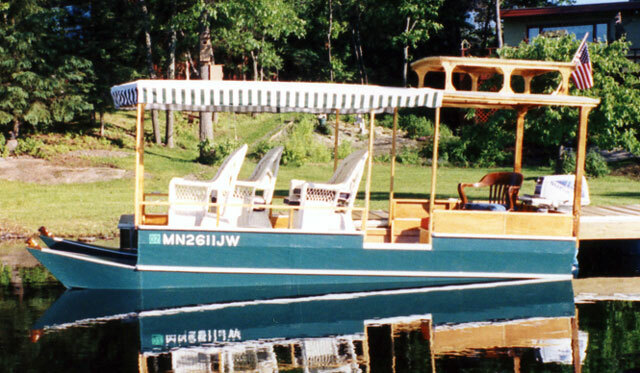 Tom Karsnia designed and built the EDNA BELLE during the summer of 2004. He writes that the boat floats and rides like a dream. It seems as light as a feather in the water. It is easy to maneuver and turns on a dime. It is made of 3/8" marine plywood and western red cedar coated with epoxy. It weighs about 460 pounds. 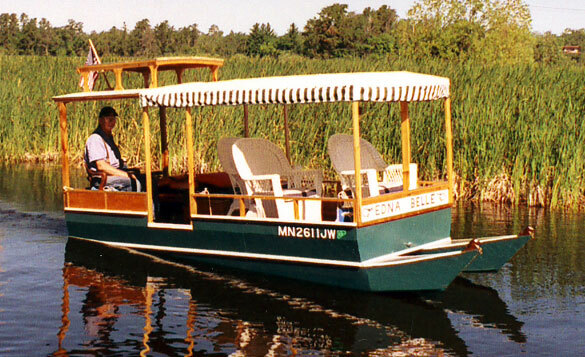 Tom launched EDNA BELLE in September 2004, and uses her on Rainy Lake in International Falls, MN.